← Bogue Profumo MAAI Giveaway Winners Announced! Eau Absolue is said to be a fragrance Mona created for herself and embodies her love of the Mediterranean. 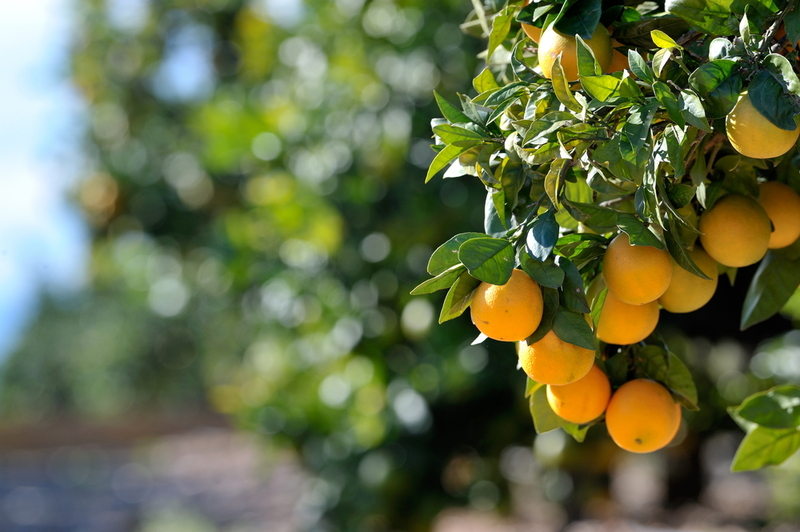 It was launched in 2013 and is described as a Citrus Aromatic. Mona composed the formula before her untimely passing in 2011 and it has been produced by Accords et Parfums, the lab in Grasse she worked with so closely. Top notes are bergamot, clementine and petitgrain; middle notes are geranium, vetiver, bay leaf and pink pepper; base notes are cedar, musk and labdanum. Eau Absolue follows the arc of the sun as it travels across the sky, reflecting the development of a summer’s day in the Med. The fragrance starts bright at first-light and becomes warmer and fuller until sundown, when it gets cosy for the twilight hours. As you’d expect from the notes, Eau Absolue opens full of orange-hued goodness. It’s resinous rather than zingy, including the twigs and leaves as well as the fruit. The juice oozes slowly, feeling warm and sticky. The citrus is nicely rounded out with a blend of green and slightly earthy notes (including vetiver and geranium). There’s a feeling of overflowing abundance. The soil is mineral rich, leafy plants are flourishing and tree branches are dripping with ripe fruit. The heart is dominated by a fantastic beeswax accord and for me, it raises the fragrance to the status of serious lemming. Its delicate honeyed sweetness is blissful and a perfect counter-balance to the citrus and green notes. It’s so present and adds such a malleable texture, I feel as if I can almost rub it between my fingers. In the base, the beeswax remains while the fruit and greenery take a step back to make room for a gentle, soothing amber and a soft, cuddly musk. Unsurprisingly considering it’s a fragrance by Mona di Orio, this is not a light eau de cologne. Eau Absolue is classed as an eau de parfum and its lasting power is outstanding. It has great depth, with a quiet potency and reasonable projection. It’s an encapsulation of the warmth and fecundity of the Mediterranean, rather than an antidote to the heat. Therefore I’d stop short of recommending it as a cooling fragrance to spray liberally on a super hot day. I think the sweet beeswax could be at risk of feeling stifling in very hot or humid weather, if applied with a heavy hand. The upside of this is that Eau Absolue has more than enough heft for wear outside of the summer months. It could be the perfect reminder of those long, languid days as autumn draws in. 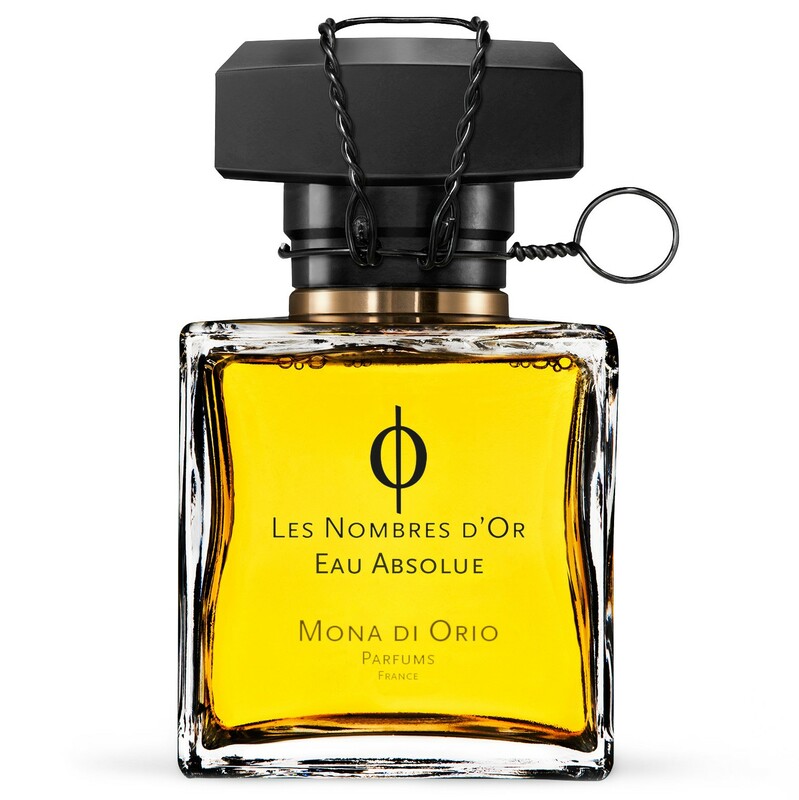 Eau Absolue has a different feel to the rest of the line and is well worth a try if you have yet to find a fragrance in Les Nombres D’Or that works for you. Unlike the others, the mood is very outdoorsy and incredibly relaxed. You can almost hear the bees buzzing, see the fruit-laden trees and sense the sun’s warmth on your skin. It really does feel as if Mona managed to capture her Mediterranean happy place in a perfume. Glorious. This entry was posted in By Tara, Chypre, Citrus, Cologne, Fragrance Reviews, Mona di Orio and tagged Chypre, citrus, Fragrance, Mona di Orio, Perfume, Review. Bookmark the permalink. This is one of my travel fragrances. It seems to fit so many moods. Thanks, Portia. That’s lovely to hear. I agree Eau Absolue suits many moods and could be worn anywhere at any time. An ideal fragrance to take away with you. Thanks, Val. It’s my favourite from the line too. I agree, it’s great for bringing out the sun during the cooler months. Ines, I think it’s the one that’s slipped under the radar for a lot of people. Maybe because it’s a lot more laid back and unassuming than others in the line, I’m not sure. Yes, that’s a really good point about the name. It doesn’t give you any indication of what the fragrance is about and with so much out there it’s easy to just pass over. Beeswax and citrus is such a gorgeous combination! Oh no Sandra, what a shame. I’m glad you’re willing to give another try at least. Hope it works for you next time round. Wow, what a beautiful description – you have completely ‘bottled’ this one in your review and I really would like to try it again. For some reason – though I have sniffed it – I don’t recall too much, but anything that captures and prolongs summer is well worth revisiting! Thanks, V. I hope I’ve captured it OK. This one doesn’t come across fully at first sniff. You really need to wear it on skin and wait for the beeswax to kick in. Tara, reading this review it’s like I’m sniffing along with you! Beautiful writing, as always. I think it was Freddie of Smellythoughts that got me to sniff this one. I like it, but haven’t spent enough time with it. In fact, it’s been a while since I’ve been back to any of the Mona di Orio’s. I really need to revisit them. I do think you need to spend some time with Eau Absolue because it does evolve, getting better and better. I hope you do revisit it. Yes, I like this review a lot as well. You sweep us away with it. I actually can’t really take Di Orio perfumes, but if this one is different (and I love the sound of the beeswax and citrus) then it might be the one to change me. Neil, this one is different and I hope you give it a try. As much as I admire them, I haven’t fallen for any of the others. There’s something in them that I find slightly off-putting though I can’t quite put it into words. Discovery sets are suchma great idea. Hope you get your Oud one day. I haven’t tried this one yet but something tells me it won’t work for me – despite your evocative review. The only MdO’s perfume that I like is Vanille. Everything else leaves me puzzled: how can it be that I don’t smell what so many others do? No, no, either they appeal to you or they don’t. You had me at beeswax, Tara. I really do love the scent of beeswax, and you make this sound so pretty, languid and sunny. And I’m not really a cologne person, but by your own words, this sounds like it is modeled on cologne but goes far beyond it. i know Suzanne, what is it about beeswax? It’s subtle but I just find it so intoxicating. I generally don’t get on with honey notes but honeyed beeswax gets me every time. You’re dead right about it being modeled on cologne but going way past it. It’s very much a full bodied eau de parfum. I guess that’s why it’s called Eau Absolue. Another unique and extraordinary perfume for you to consider…our favorite thing in the world is a “citrus aromatic” try it and let us know what you think! I love your review Tara but I didn’t love Eau Absolue when I tried it. Some Mona’s smell flat on my skin and this is one of them. I was looking for the comfy labdanum drydown but it just never appeared on my skin. Cuir, Oud and Nuit Noire I do love though. I’m looking forward to the new releases too (but perhaps not the prices!). It’s interesting how Mona’s fragrances seem to react differently on different people. Eau Absolue is the one that’s worked best for me. Looks like you suit the heavy hitters. I’m thinking of buying a bottle before the new packaging comes in because I’m also guessing there’ll be a general price hike.